Full 1080P FPV goggles with HDMI input for around $140? 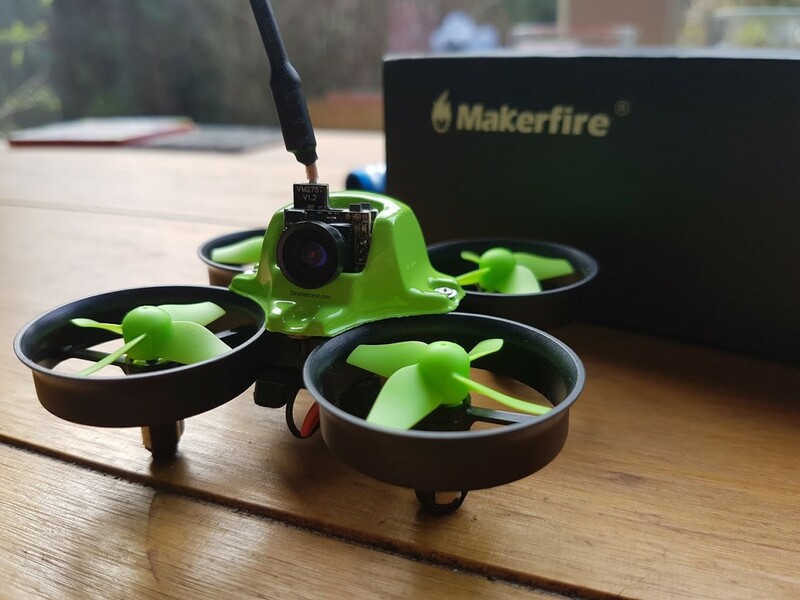 It was only a year or two ago when we where paying $300 for something similar (think headplay HD), Eachine them came along with the Goggles One, which although was super affordable, ultimately they lived up to the story of you get what you pay for. However we now have a new model with the goggles two, and I am happy to say that Eachine correct many of the shortcomings of the goggles one, making the goggles close to the ideal HDFPV headset currently available, and are unbeatable when you consider the price. HDMI input: pair with your DJI drone for real-time HD display, or use it to use with an FPV simulator. Not the most inspiring design/materials (Foam with some plastic), but still much better than the older Goggles One headset. Why can’t Eachine use the same smart battery pack as used on the VR007 headset? Another great use for these particular goggles is as a second display for your DJI Drone. Simply connect the goggles to the HDMI out on your DJI remote controller and you have a crisp real-time feed of what your drone sees, free from any glare or sunlight reflections. 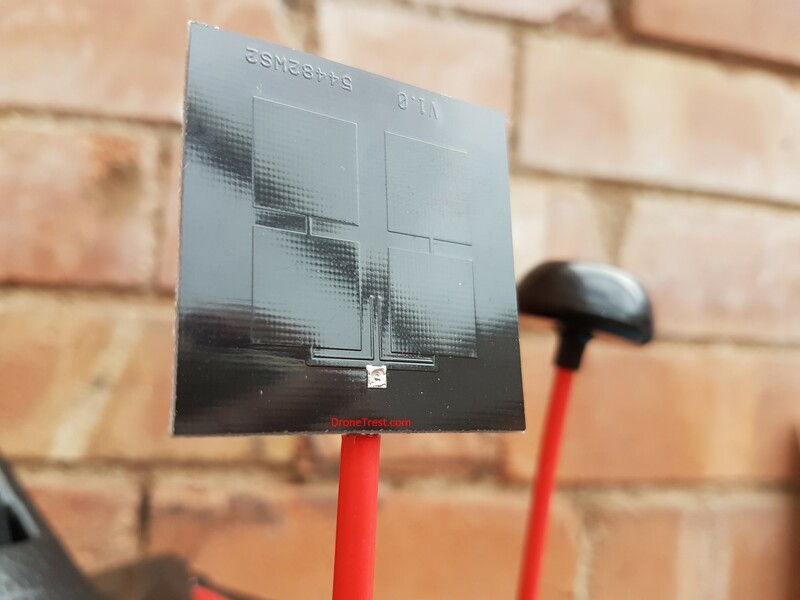 This not only gives you total immersion while flying, but it also lets you clearly see what you are recording, so it is that much easier to frame your shot perfectly! The only thing to bear in mind is that not all DJI drone controllers have or support HDMI out (like the Mavic). The phantom 3 and 4 series drones are able to output HDMI, but this requires an HDMI output module upgrade. 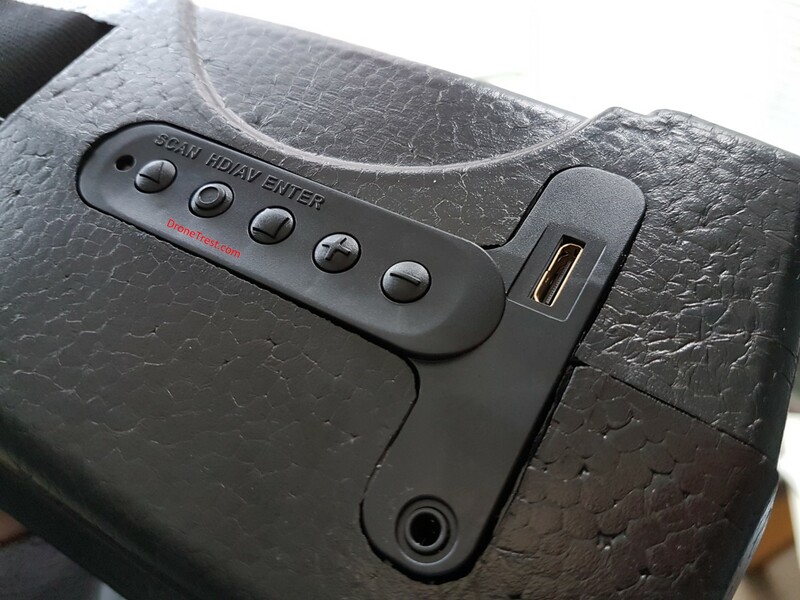 Only the Inspire series have HDMI output as standard. 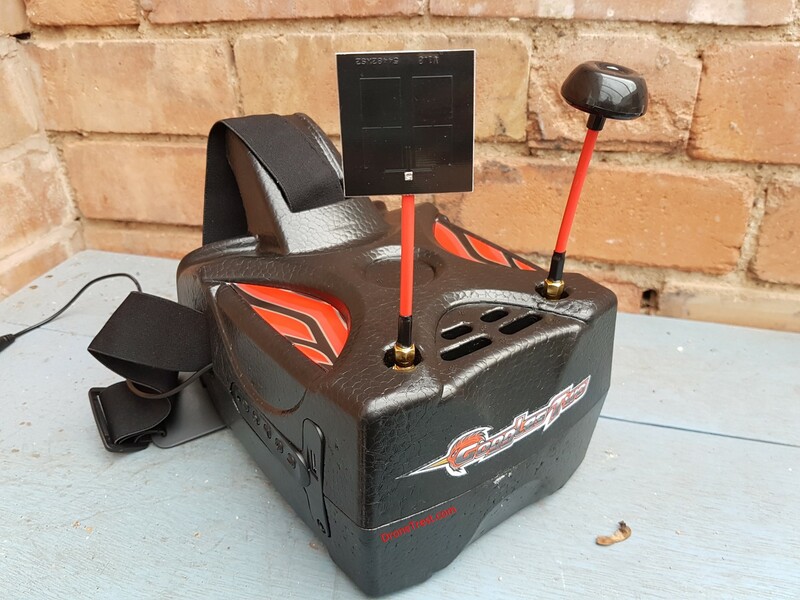 Since it has HDMI input another cool application is to connect the goggles to your PC (assuming it has HDMI out) and you can then fly your FPV simulator using the goggles! Making for a totally immersive simulation experience! To find out more about FPV simulators read our best FPV simulators article, but for now, we really like HotProps FPV simulator, as it includes multiplayer! Interestingly the headset has a multi-function 3.5mm headphone jack on the side, functions as either an audio output or as a video input. The headphone out usefulness for FPV flying headset is questionable by some, but if you ever want to watch a movie on the goggles you can, just do not expect groundbreaking audio quality. Of more use is the video input which is achieved through the included RCA cable. 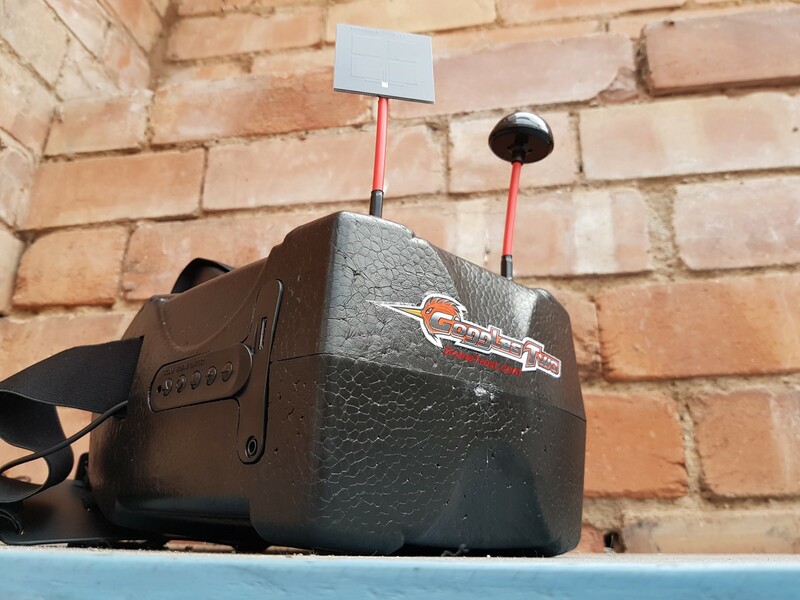 This lets you use just about any other FPV receiver with this headset which makes using the headset much more flexible and versatile. This is particularly important if you ever plan to fly long range FPV, where you need some serious tracking antennas that you could not exactly mount on your head. The goggles two headset includes a 2200mAh 2S (7.4V) battery to power the goggles. 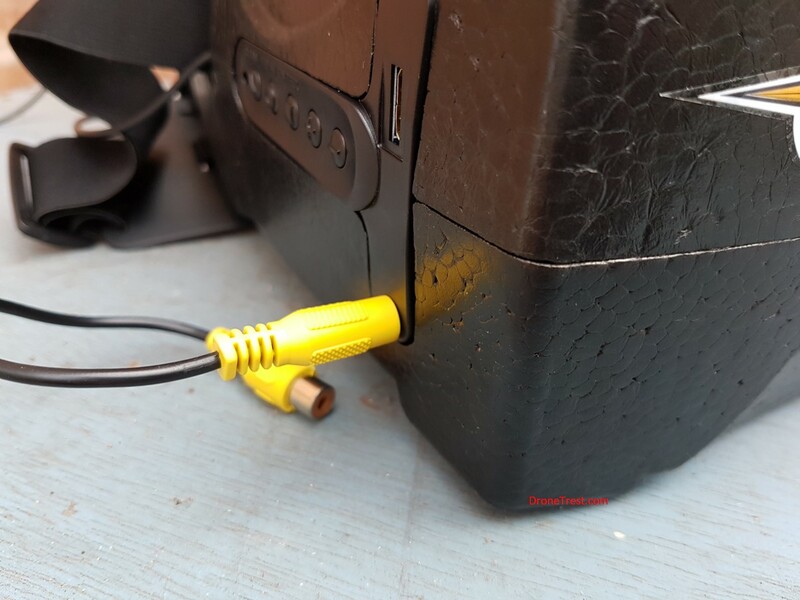 They use the common Fatshark style connector which is nice should you want to use other batteries. You also get a charger. The battery mounts on the back of the head strap which is great as it keeps the balance of the goggles in the middle of your head, making them much more comfortable to wear. While using the goggles you can easily see the current battery level indicator in the bottom left corner of the screen. On the bottom right there is also a handy frequency indicator letting you know what channel the goggles are currently tuned to. One thing to watch out for is that when the battery voltage gets too low, the goggles will simply not turn on, all you will see the LCD back-light, but nothing else telling you the battery charge is low. When this first happened to me I thought the goggles were broken, but after recharging the battery the goggles good to go again, I was just slightly worried for a while. Thanks for reading the review, overall I can say that the goggles two are quite possibly the best 1080p headset you can get at this price point. It ticks all the boxes for the required features of an FPV monitor with none of the shortcomings of goggles one. So if you are looking for a 1080p headset either for FPV racing, or as a second display for your DJI drone, the goggles two are highly suggested, and the best part is they will not break the bank!